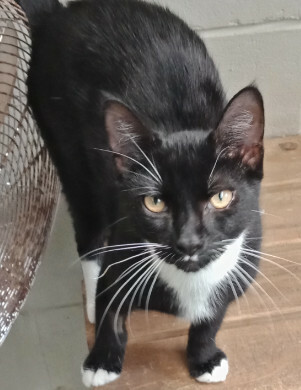 Robbie is just 6 months young, a black with white DSH male who’s full of mischief – a funny little man who wants a home to call his own. Interested? Please contact the Tweed Shire Pound on 02 6676 6060. All cats are sold desexed, microchipped and vaccinated. Those being sold to NSW residents must be life-time registered at the time of sale from the pound. Please check registration requirements with the Tweed Shire Council or your local council. $198.00 + $28.50 registration ($24 concession) if not registered.